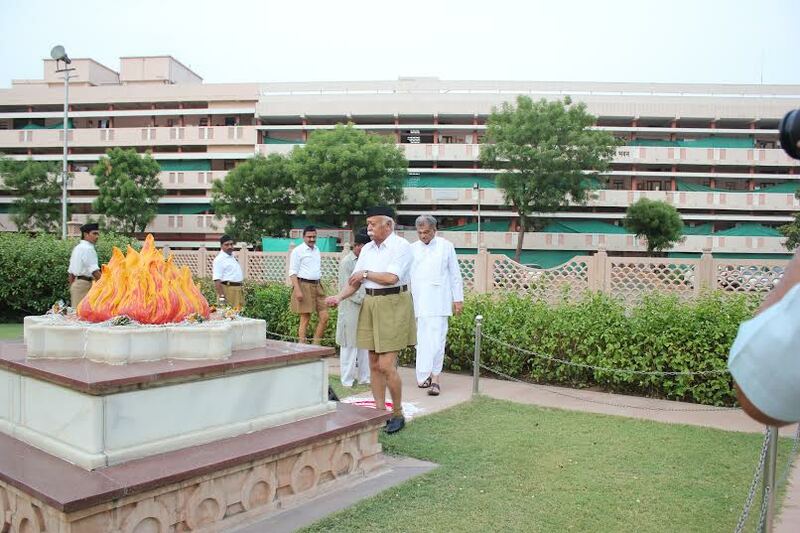 RSS annual training camp for third year at national level for 25 days concludes at Nagpur today. 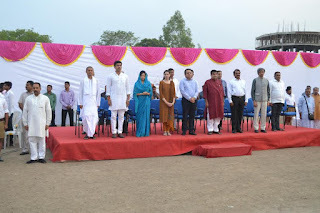 Dr. Veerendra Heggade, National President of VHP’s Golden Jubilee Celebrations Committee, Laisemba Sanachauba, Maharaj of Manipur, Rajyavardhan Singh Rathore, Nitin Gadkari, Union Minister, and Dr. Mylaswami Annadurai are the dignitaries who attended the Valedictory function. Shri Mohan Bhagwat addressed the gathering. Around 870 selected swayamsevaks from various states of India come to stay at Nagpur for a period of 25 days and receive training in RSS doctrines and ideology and techniques. 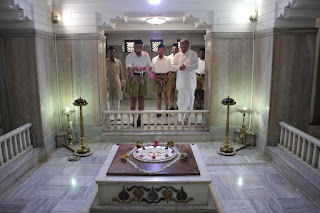 The camp is held in Reshambag area where the ‘Samadhi’ of RSS founder Dr Hedgewar and memorial of his immediate successor Sri Golwalkar Guruji is located. The routine includes varied physical exercises and yoga in the morning, group discussions on various current issues, lectures, and evening drills. The Third Year SSV at Nagpur is unique in many ways. 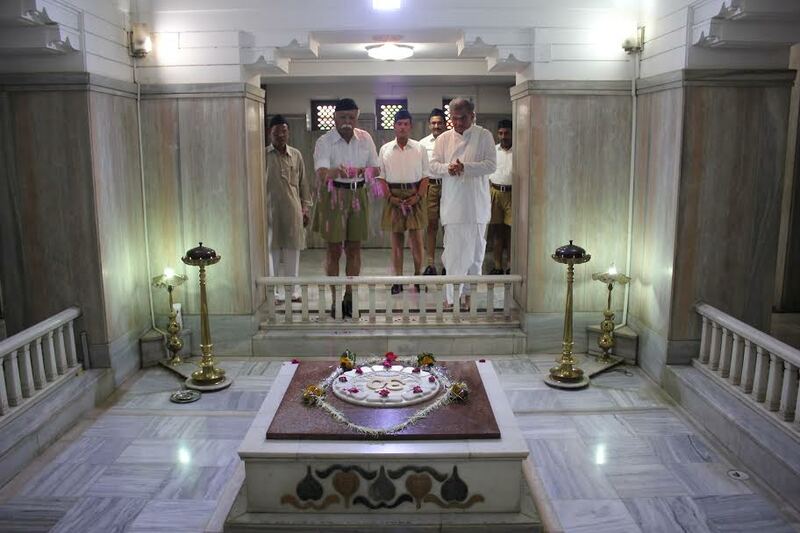 The swayamsevaks come from different provinces of the country thus presenting a miniature India with all its inherent diversities and underlying principle of unity. They speak different languages, dress differently and have different food habits. But stay together as brethrens; communicate in broken Hindi, try to learn each-other’s languages and foster unbreakable friendship and bonds of love and affection. This year there are participants who speak as many as 16 different tongues! They bear all the expenses of the camp including 25-days food, travelling, uniform etc. Sri Govind Singh Tank of Chittore is the Sarvadhikari of Nagpur camp while Yashvant Bhai Chaudhary of Gujarat is Karyawah. Senior RSS functionary Arun Kumar is the ‘Guardian’ (Palak Adhikari) of the camp. Sarsanghchalak Dr Mohan Bhagwat, Sarkaryawah Bhayyaji Joshi, Sahsarkaryawah Dattatreya Hosabale, Dr Krishna Gopal, Suresh Soni, Bhagayya, Indresh Kumar and other senior functionaries visit the camp and interact with the participants on various issues of society and Sangh.